Will James Morrison finish in a place in South Africa? 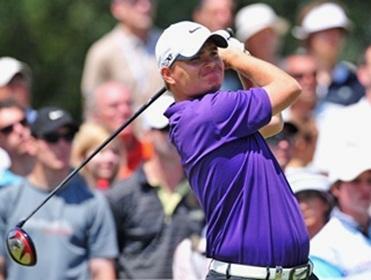 "James Kingston won this event in 2007 and is a force to be reckoned with in his home country where he has 11 victories to his name including this year's Investec Royal Swazi Open, a matchplay tournament." I'm a sucker for potential and Daan Huizing has it in abundance. The young Dutchman won six amateur tournaments in 2011 before some remarkable performances in 2012 saw him win the Lytham Trophy by 11 shots before winning the St Andrews Links Trophy by a staggering 14 shots. Huizing's ascent continued last season, when he won twice on the Challenge Tour and he now finds himself a fully-fledged European Tour member, starting in a particularly weak looking field in South Africa this week. I have a golden, but very simple rule when wagering in tournaments held in South Africa - back a South African! They are the one nation that throws up more 'home' winners than any other - they've won 13 of the last 15 events staged on the European Tour for example. This week I'm going for Garth Mulroy, a very good player on his day who made the Race to Dubai finale last week, though he'll be disappointed to finish down in 56th. Prior to that he recorded top-20 finishes in two high profile events and sixth at the Alfred Dunhill Links Championship six weeks ago. And as can be expected he has some good finishes in his home country to his name, most notably a fourth place finish at the Africa Open and a tied third at the Alfred Dunhill Championship in the 2013 season. Expect him to go well this week. With seven players in the top 100 of the world rankings South Africa boast a serious amount of golfing talent. Charl Schwartzel apart, most of the top names will miss out at Glendower, but I'm backing one of the unheralded home players to take a leading role this week. James Kingston won this event in 2007 and is a force to be reckoned with in his home country where he has 11 victories to his name including this year's Investec Royal Swazi Open, a matchplay tournament. The 47-year-old Kingston was last seen finishing 10th in the Nedbank Affinity Cup, but British golf fans may remember his sixth-place finish at the European Tour's flagship BMW PGA at Wentworth. That shows his class and on another tree-lined, well-bunkered course - this time in his homeland where he knows the conditions inside-out - the straight-hitting Kingston may just go well. I certainly thought he was worth a bet at 125-1. I've been a big fan of James Morrison for a few years now but things haven't gone well for him since he lost a commanding four-stroke halfway lead at the BMW PGA Championship at Wentworth last May and I was amazed to see his form slump so badly that he had to keep his card via the European Tour's Q-School in Catalunya last week. A solid second round 67 saw him get in-the-mix before a sensational 63 in round 3 propelled him to the front and although he only bobbled along after that, at the end of the six round marathon he'd finished 11th to easily keep his playing privileges and he might just come out fighting here. It's a big ask but [176.0] is a big price and he may just be worth an each way wager. Magnus A Carlsson has finished sixth in the last two South African Opens and there is enough in his recent long game performance to suggest he's well up to making the slight improvement required for a place payout. Carlsson has hit more than 69% of greens in regulation since the start of July, which can only bode well for this week's test at short, tree-lined Glendower. Whilst Carlsson hasn't turned that excellence into stunning results on the more competitive European Tour, of which 11th at the KLM Open was the best, it will count for much more in a field which includes only two of the world's top-100.